David Roche lives and works in Québec, Canada. Master in Plastic Arts and Bachelor of Arts – History, Havana University, Cuba. Plastic Arts and Art History Professor, since 1977. «Conceptually, Roche’s more recent research on plastic addresses the challenge of spontaneously applying on the creation, sometimes at random, various manipulations with a balanced organization of the structure of the composition in mind. His works of art speak of change, of mutation and of a continuous evolution towards the new possibilities and the unknown, distinguishing themselves in the dualities and the great contrasts between two opposed and contradictory forces that ultimately share the same roots: the abstract and the figurative » Box Heart Gallery, USA. His rich and diversified works of art received prizes, both nationally and internationally. They are found in private and public collections in China, the Unites States, Canada, South Korea, Cuba, Mexico, Spain, and many other European countries. 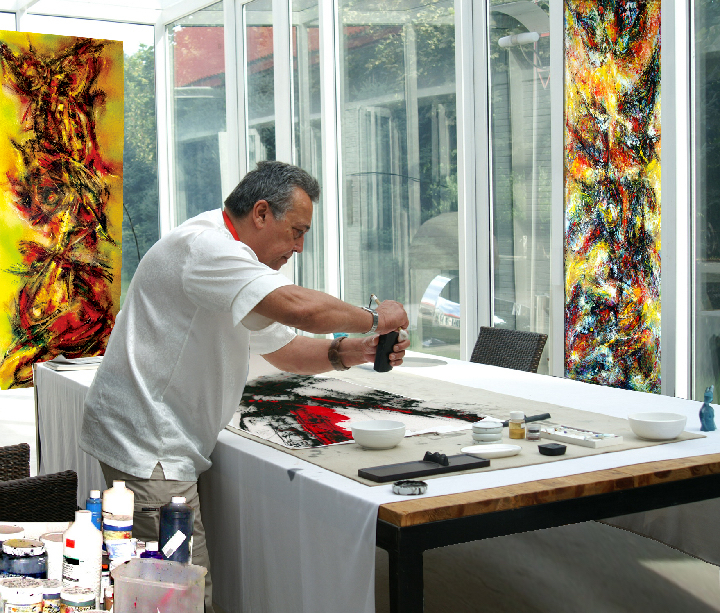 He is a Professional Member of several Art associations, such as: the International Association of Art (IAA/AIAP), the Canadian Artists’ Representation (CARFAC), the Visual Arts Copyright Society (SODRAC) and the Group for Visual Arts Artists of Québec (R.A.A.V), Canada. Gold medal Honorary Ambassador, 1st Ecorea Jeonbuk Biennale 2012, South Korea. Gold medal and Olympic torch, Olympic Fine Art 2008 (OFA 2008), Beijing, China. First Prize – Sculpture Duchamp-Villon Prize 1994, Plein sud Art Gallery, Quebec, Canada. First Prize – Engraving National Salon of Art Professors, Havana, Cuba. Yi Pu Cultural Co. Ltd COLLECTION, Beijing, China. Collection of Jeonllabuk-do Government Foundation, South Korea. Tai Miao Museum, Olympic Fine Arts Collection – 29TH OLYMPIC GAMES, Beijing, China. International Pinacotheque of Gergeri, Crete, Greece. City Hall Longueuil COLLECTION, Longueuil, Québec, Canada. University of Havana COLLECTION, Havana, Cuba. `SILK JOURNEY TO ART` 2015 – Beijing World Art Museum, Beijing, China. OLYMPIC FINE ARTS 2008 – China International Exhibition Center, Beijing, China. THIRD BEIJING INTERNATIONAL ART BIENNALE 2008 – The National Art Museum of China, Beijing, China. 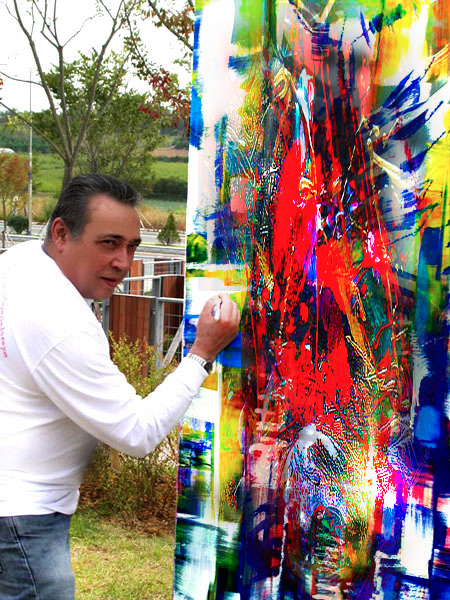 INTERNATIONAL BIENNAL OF CONTEMPORARY ART 2007 – Fortezza da Basso, Firenze, Italy.